Nashville, TN -- The award-winning Lonesome River Band fresh off a Hollywood, CA performance this past weekend, will head back to Nashville today for three Nashville concerts this week. The group will no doubt thrill fans with performances at Music City Roots Live from the Loveless Barn, SiriusXM Bluegrass Junction Studio Special taping (live audience), and WSM Radio’s Station Inn Sessions. Pa's Fiddle: The Music of America, the CD series, is based on music that Laura Ingalls Wilder wrote about in her Little House series. 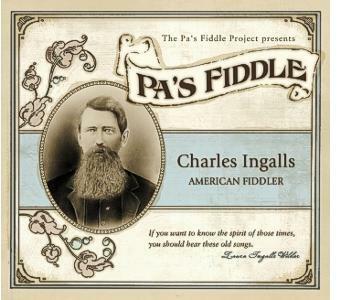 The most recent CD, "Pa's Fiddle" will be released on June 5th. The PBS special will bring the music to life.